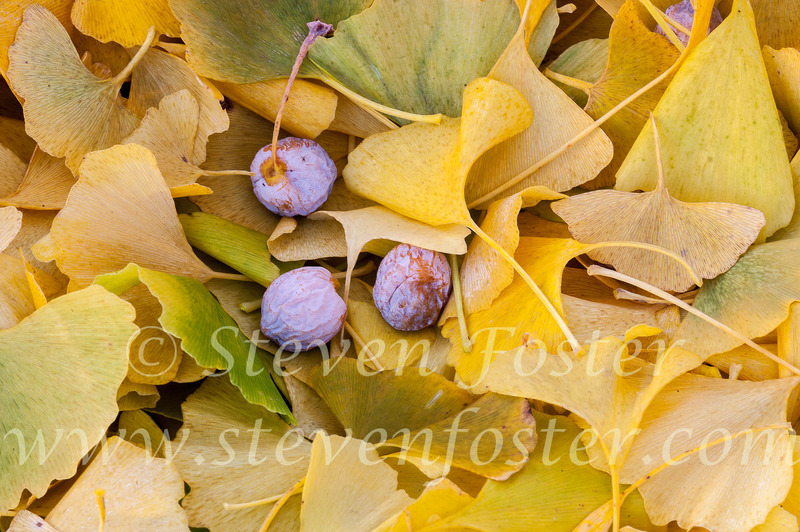 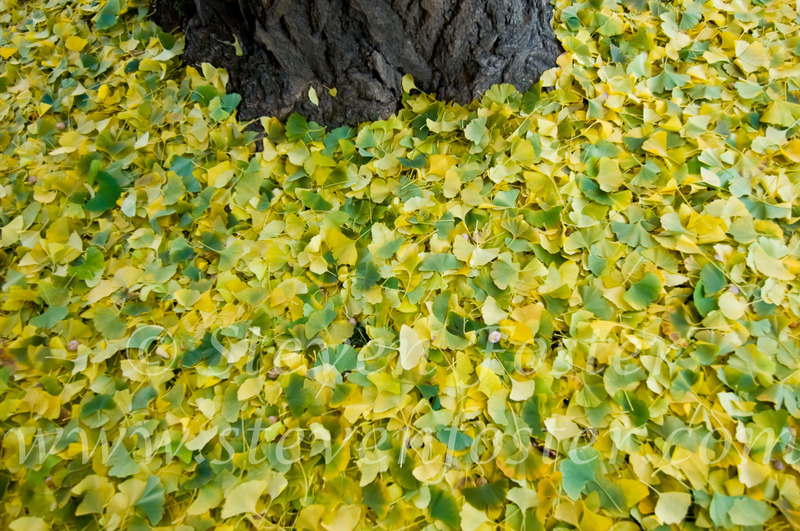 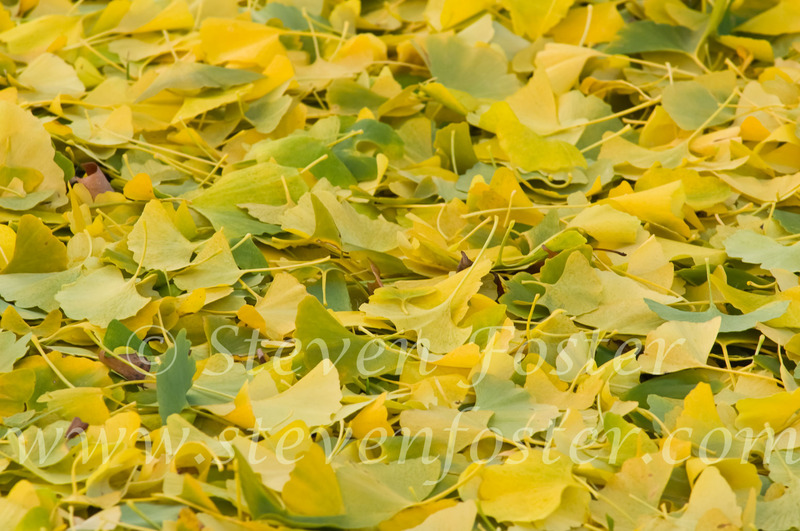 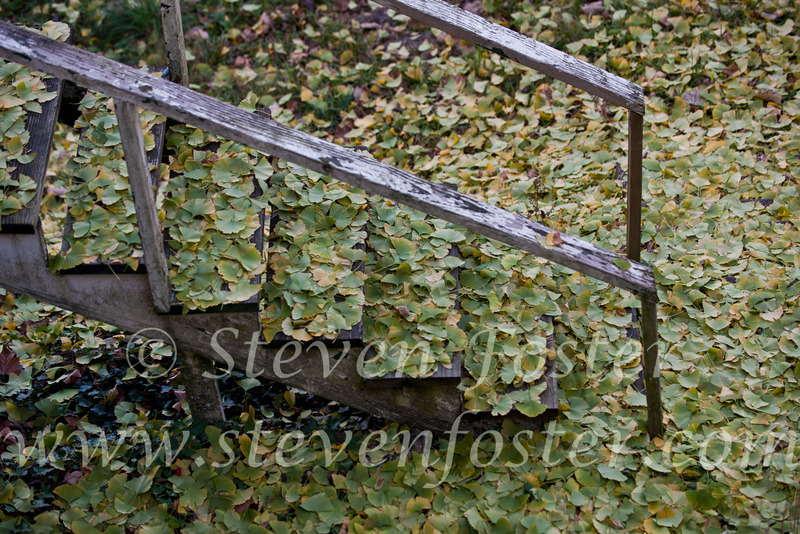 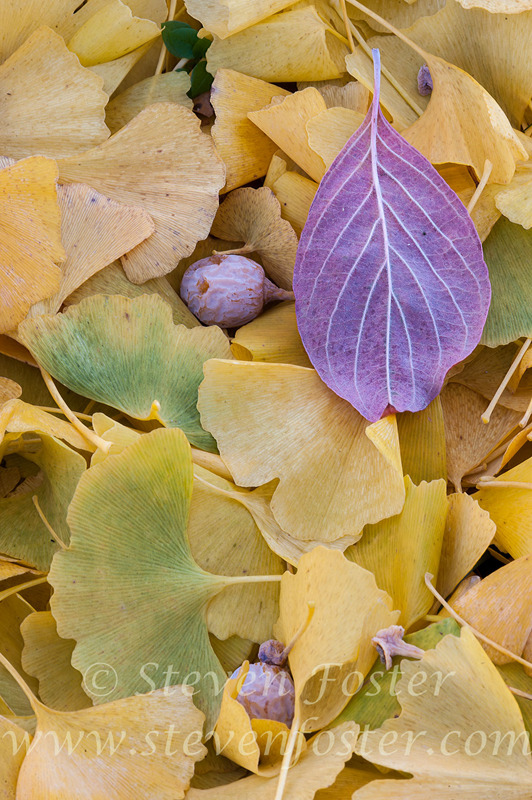 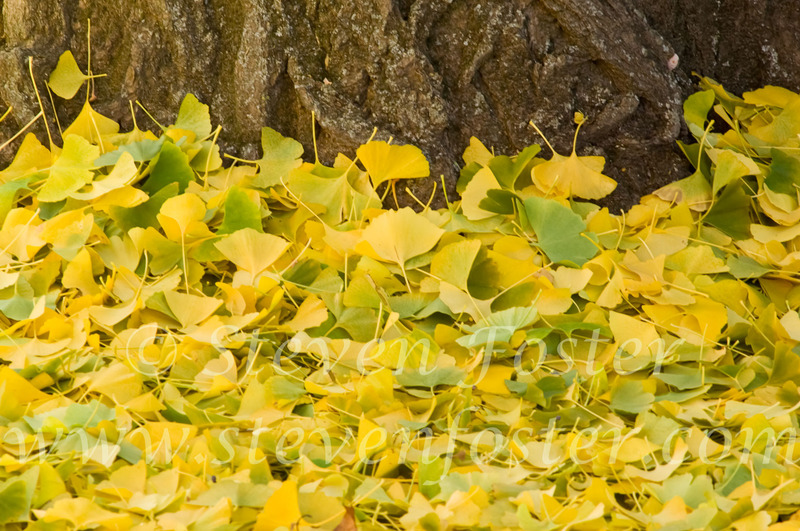 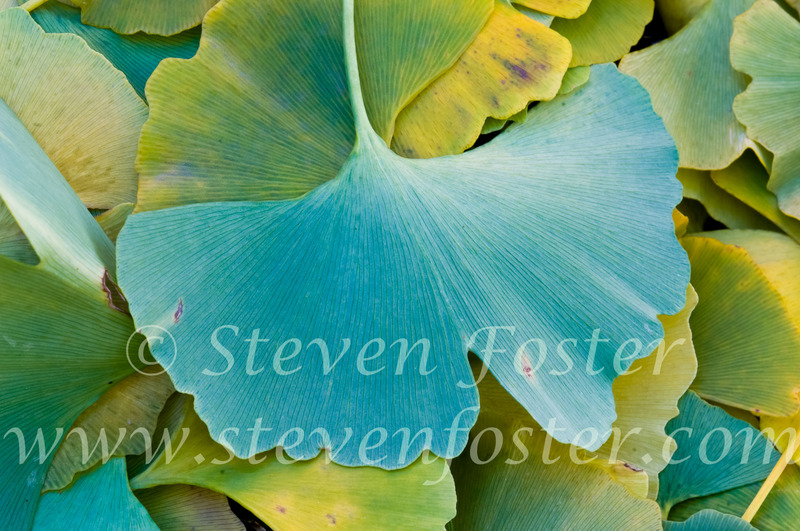 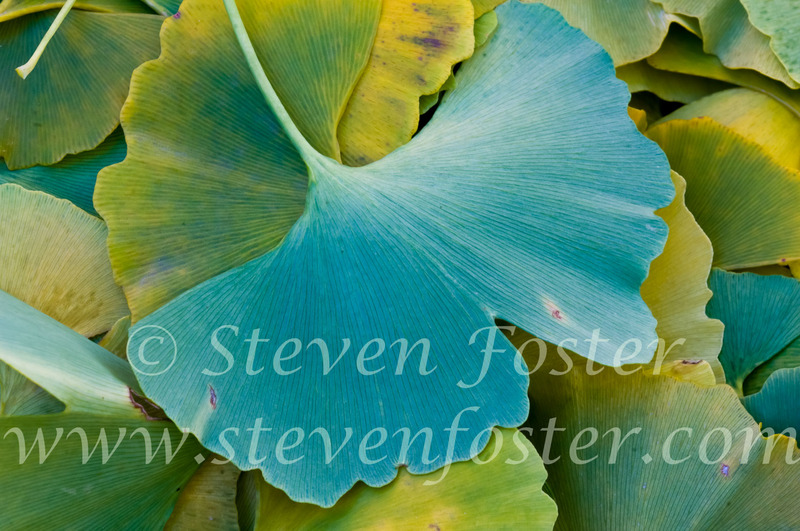 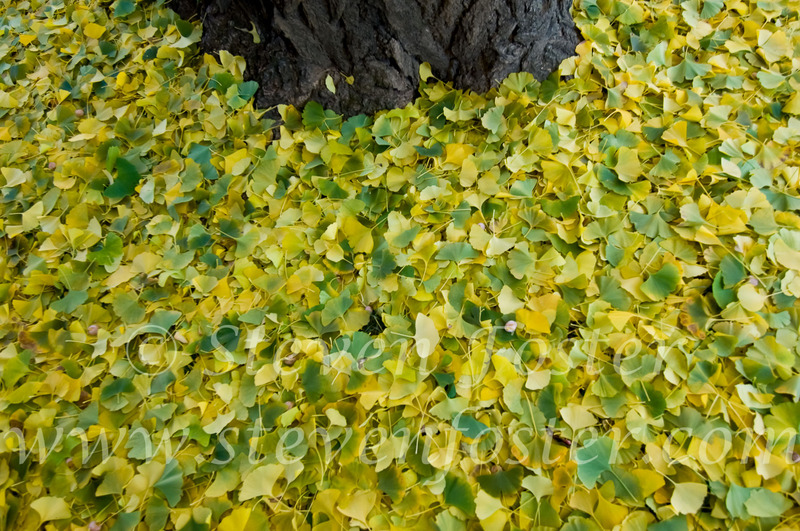 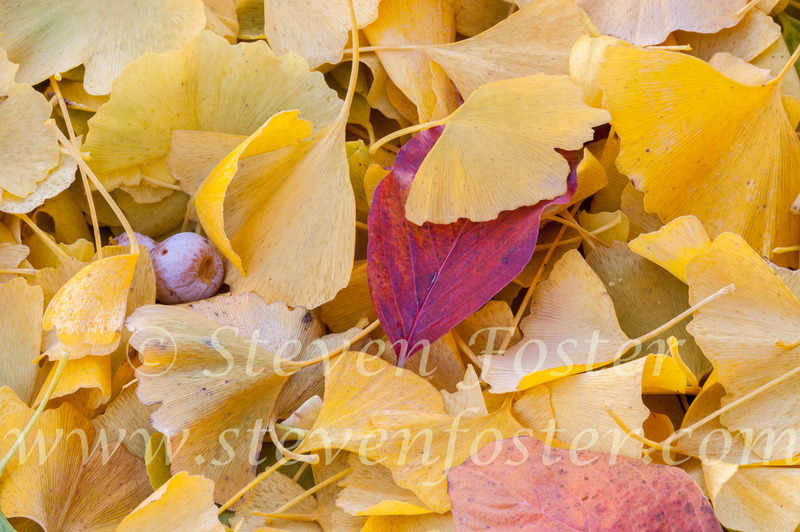 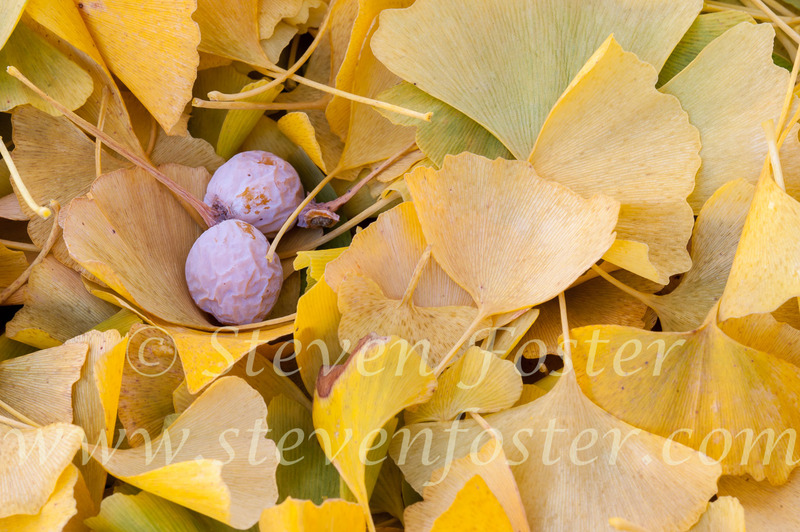 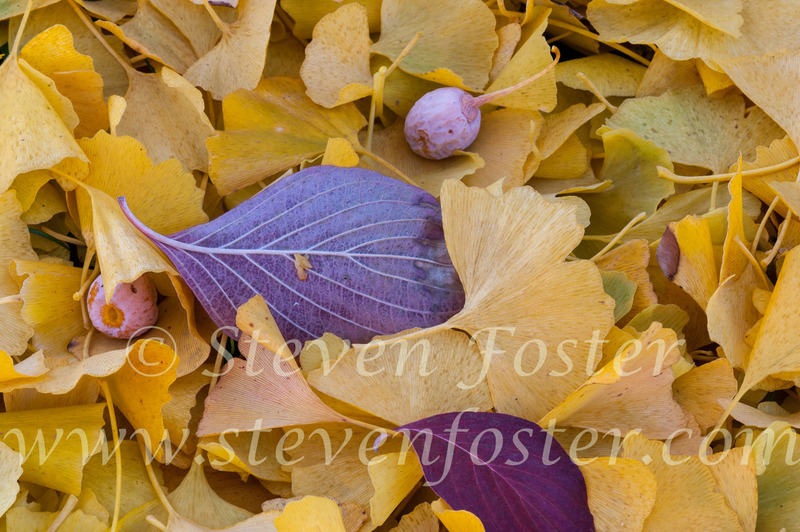 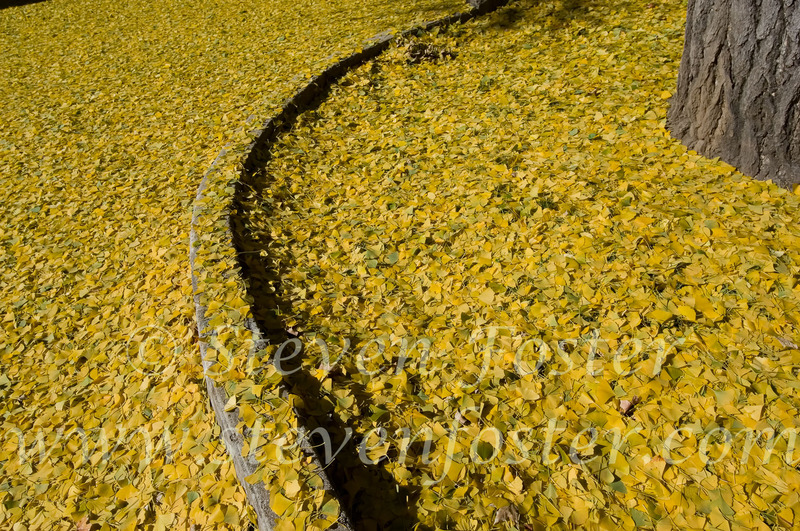 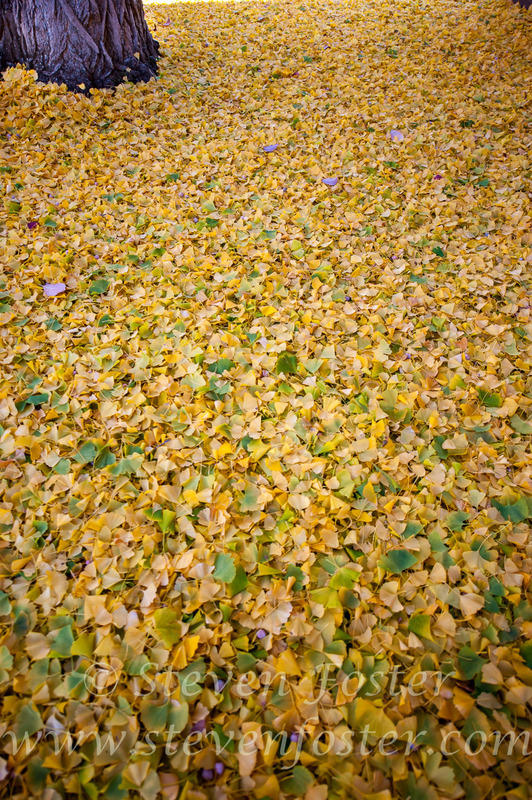 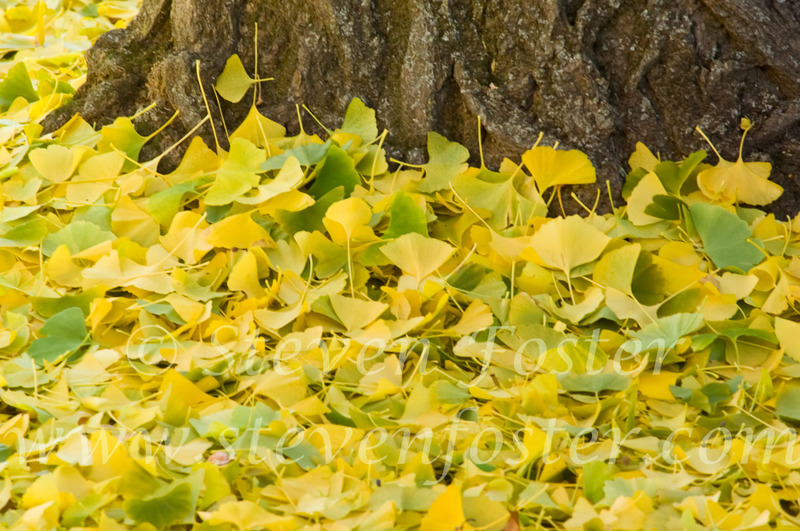 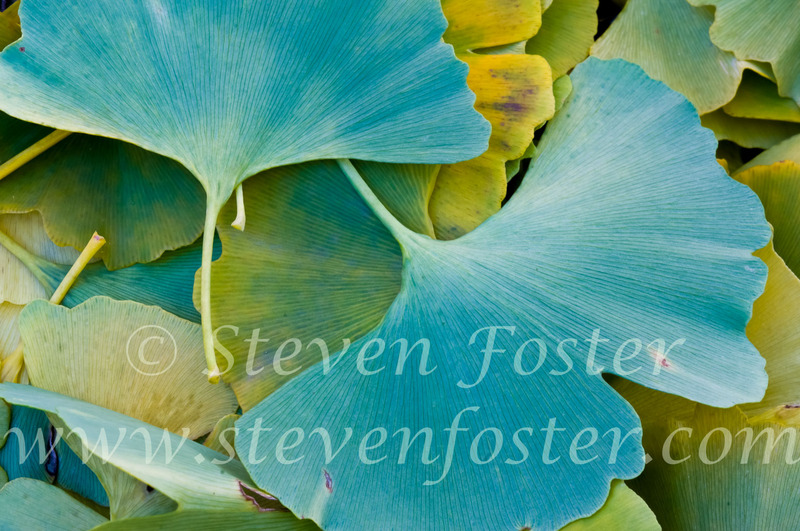 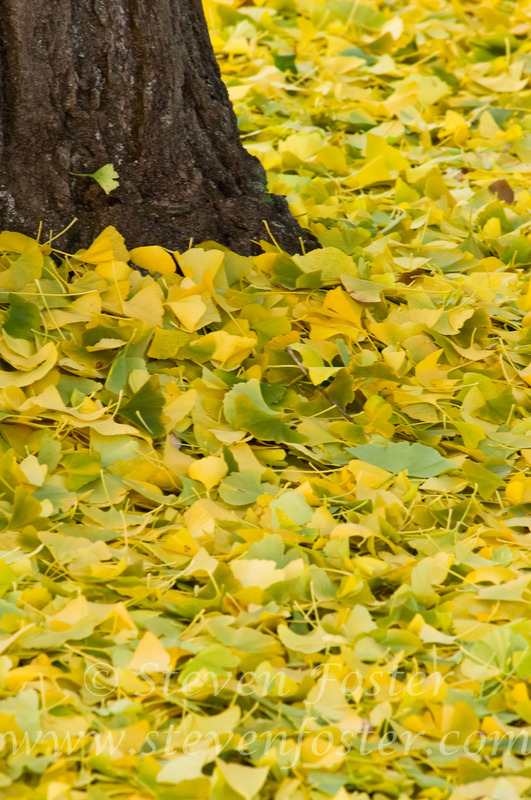 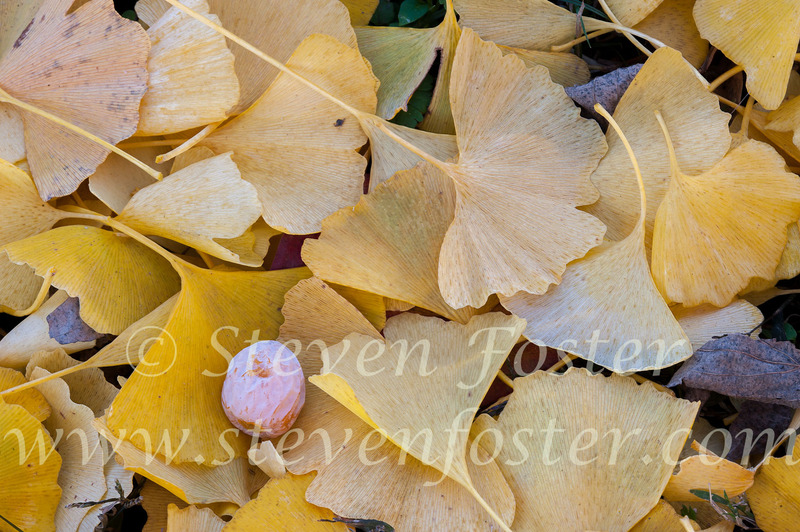 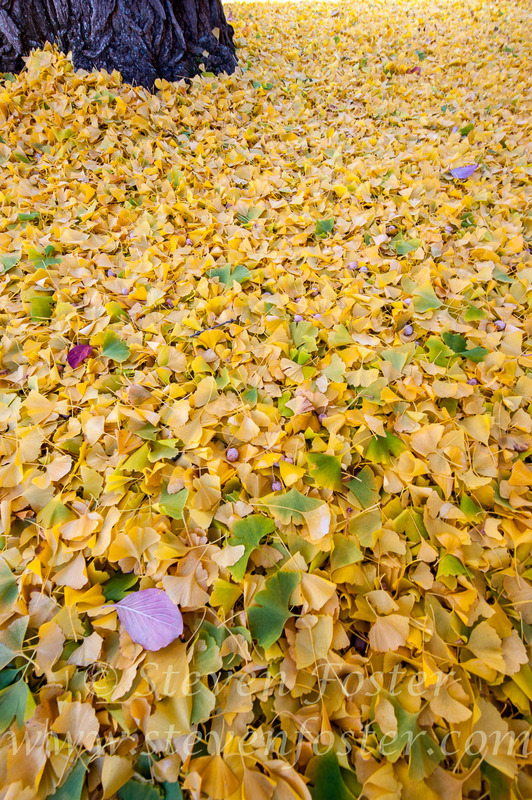 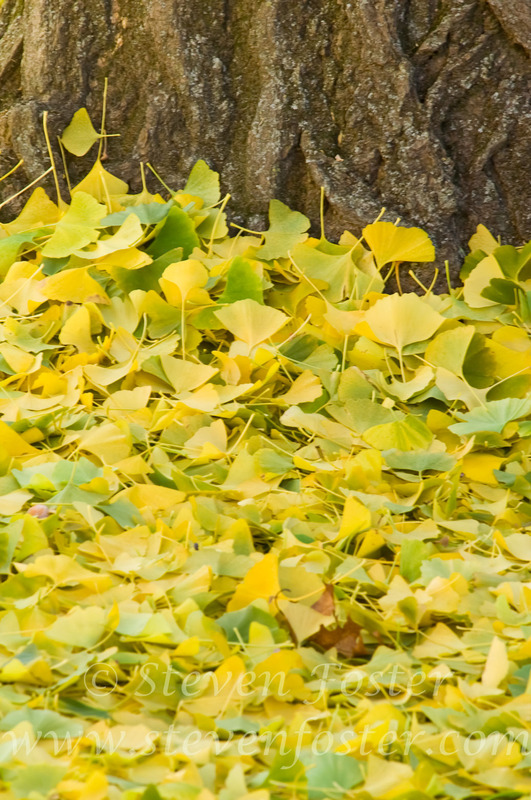 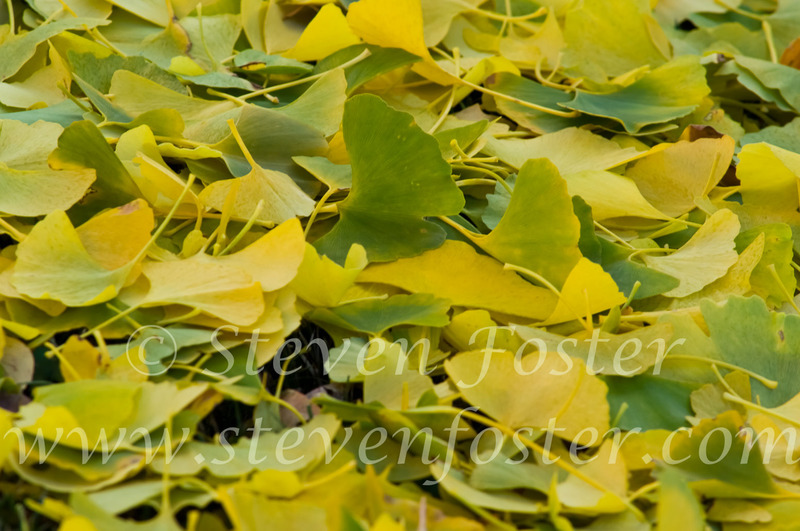 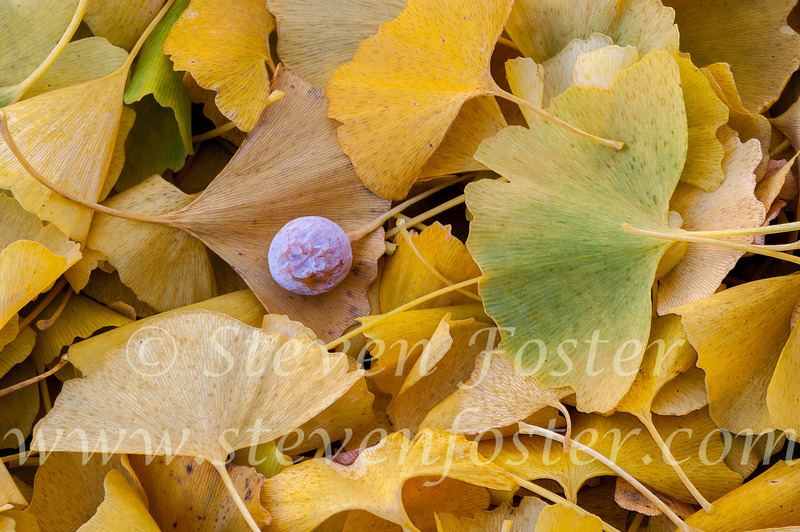 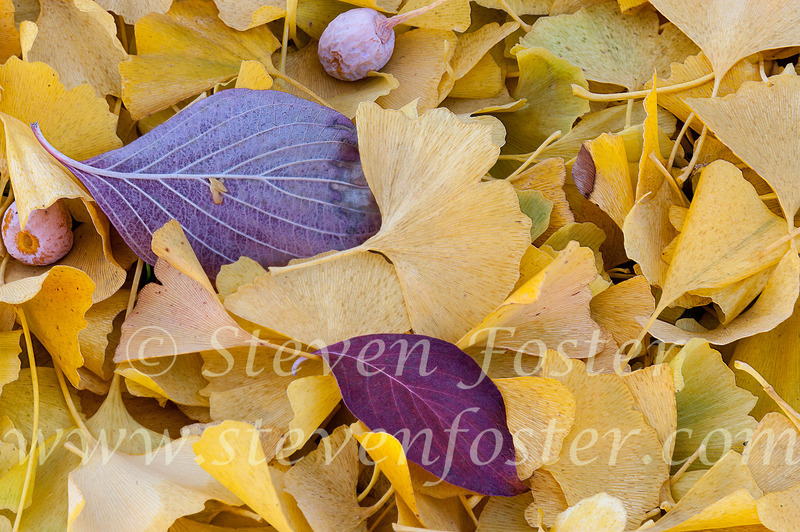 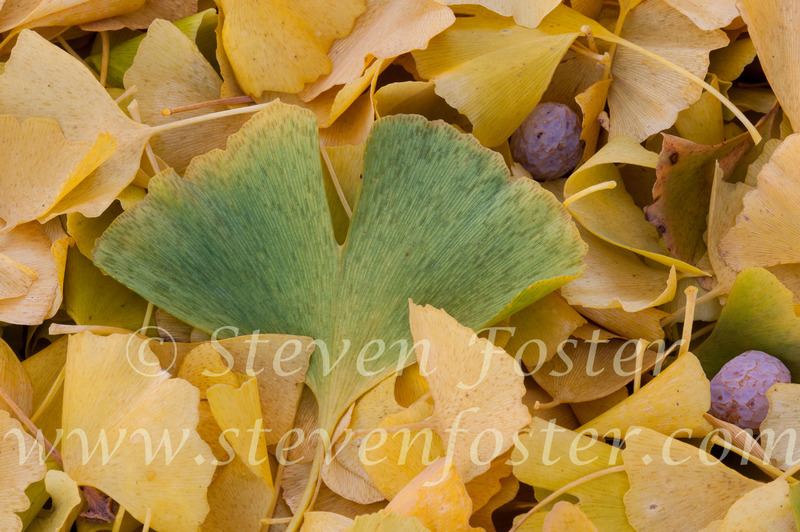 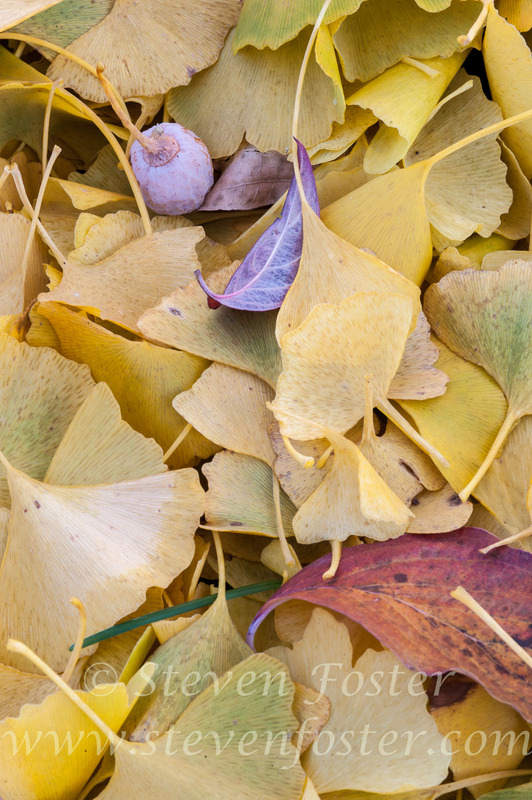 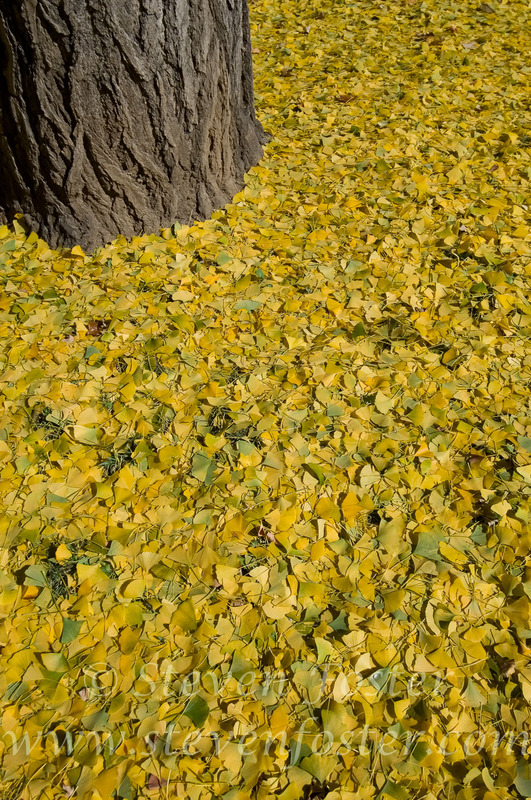 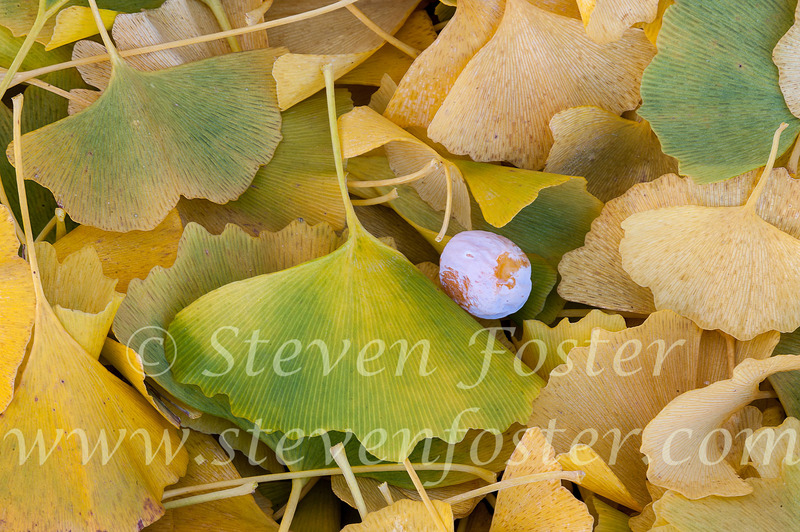 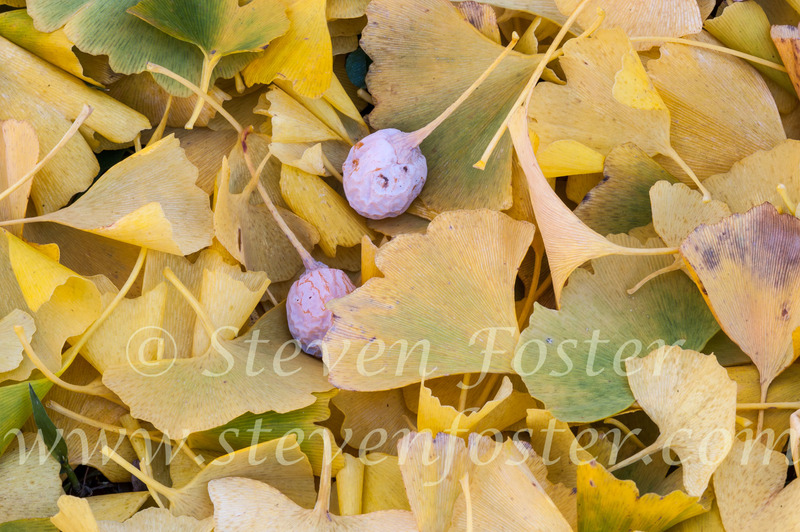 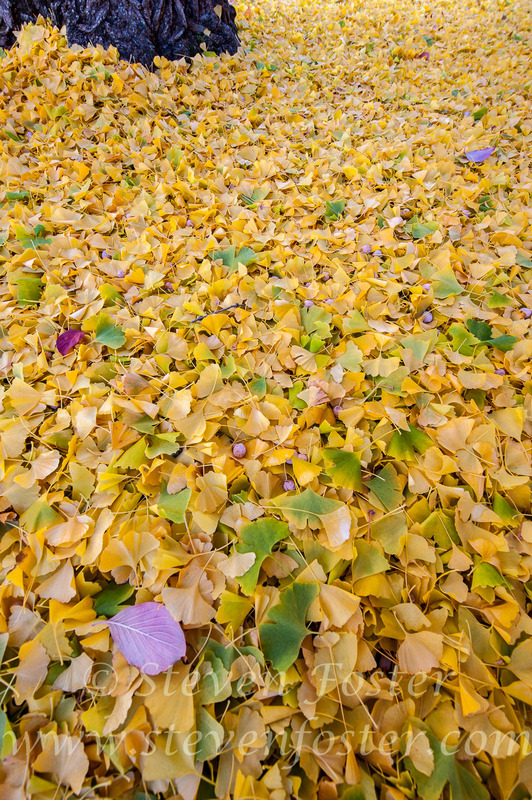 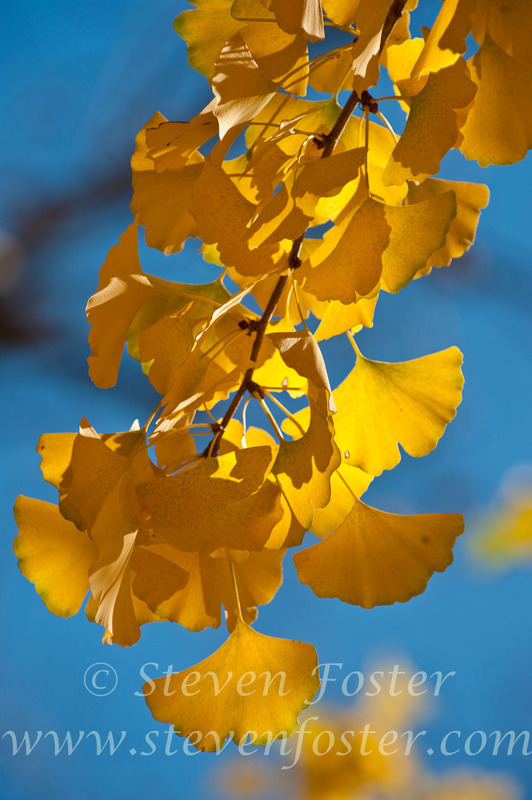 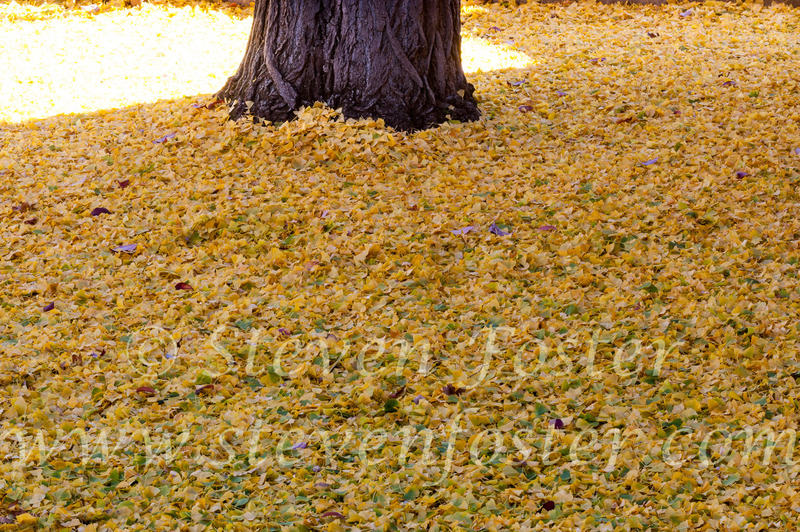 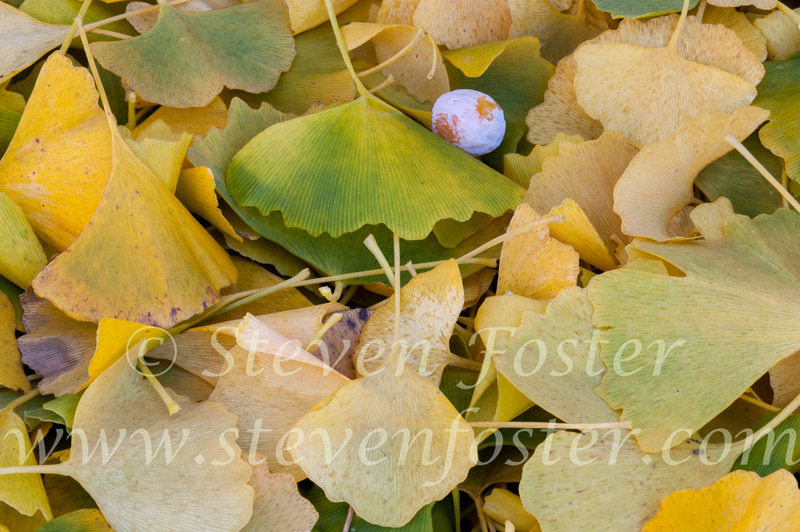 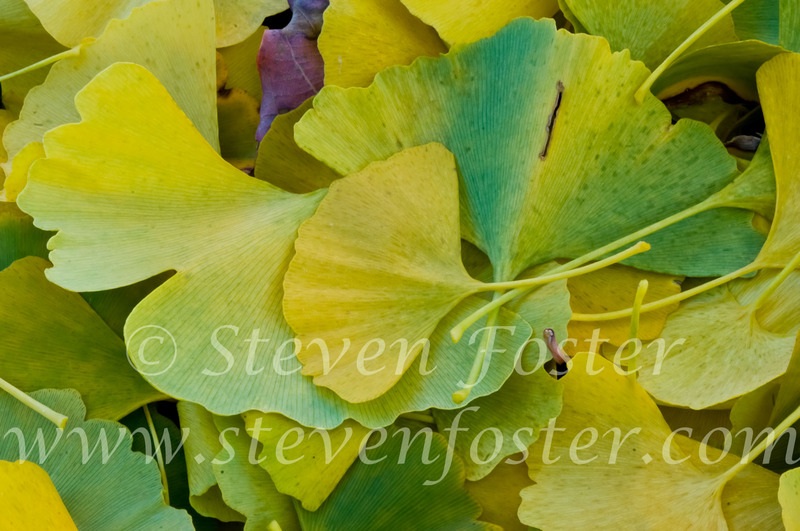 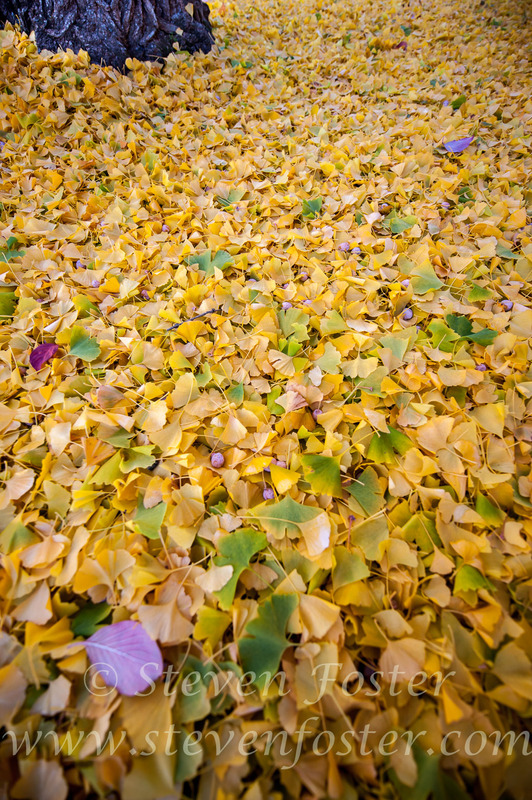 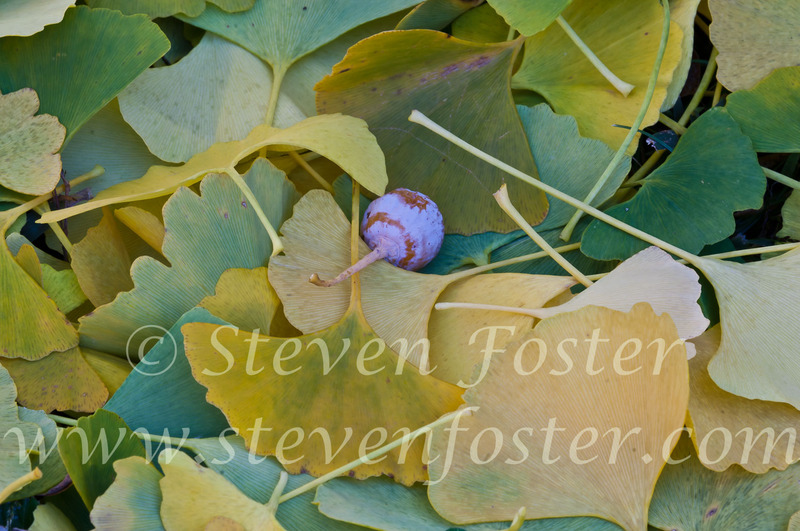 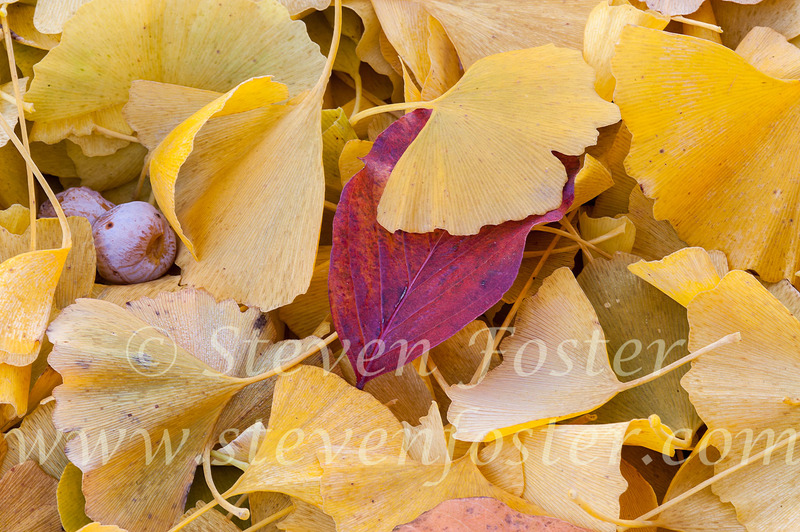 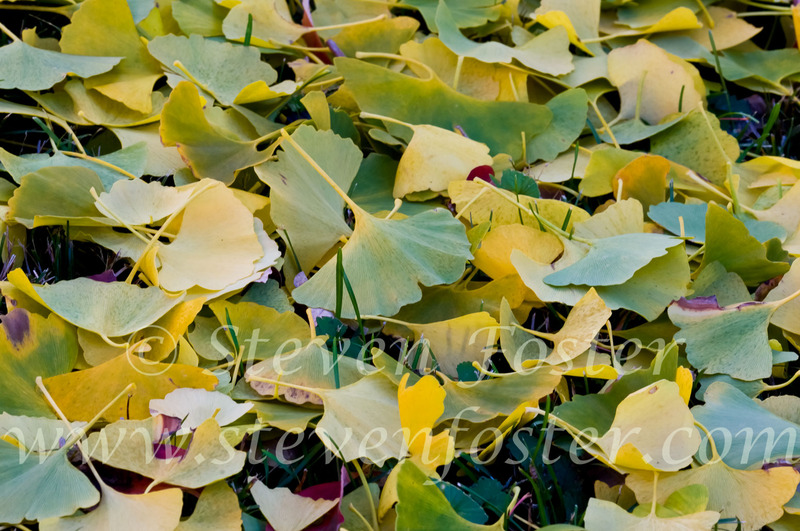 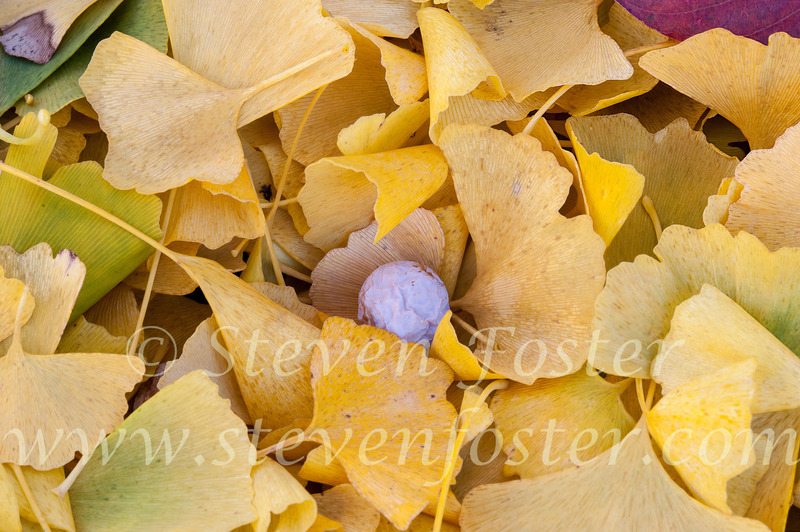 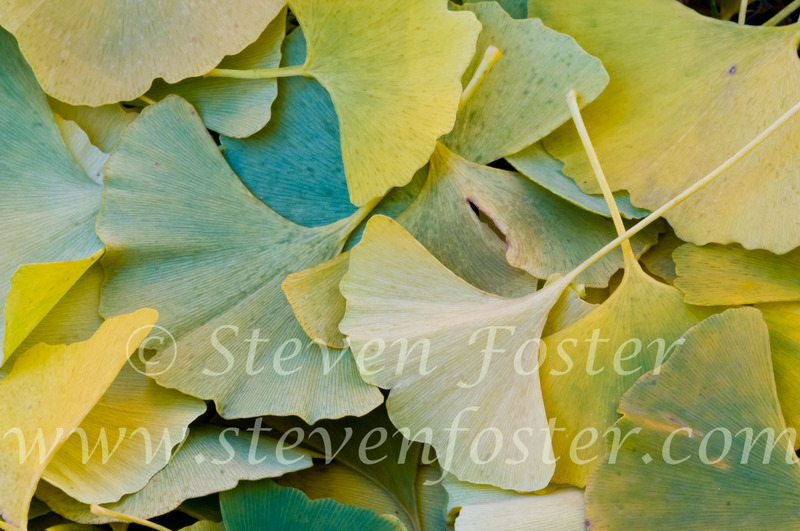 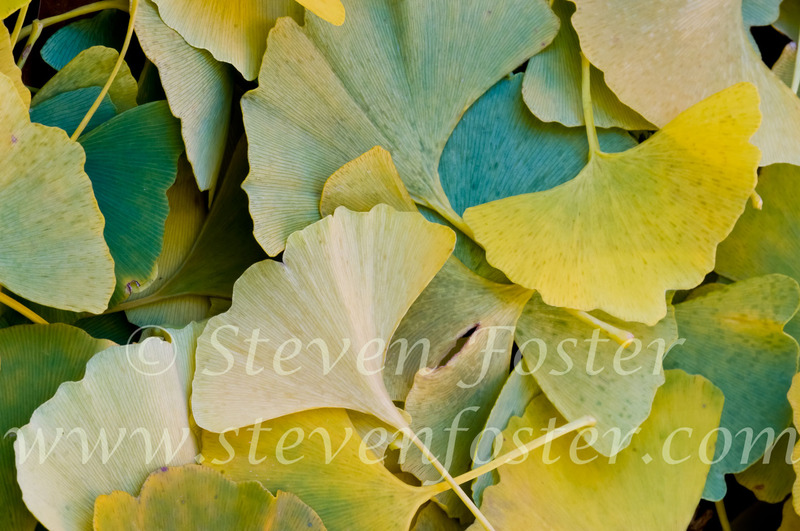 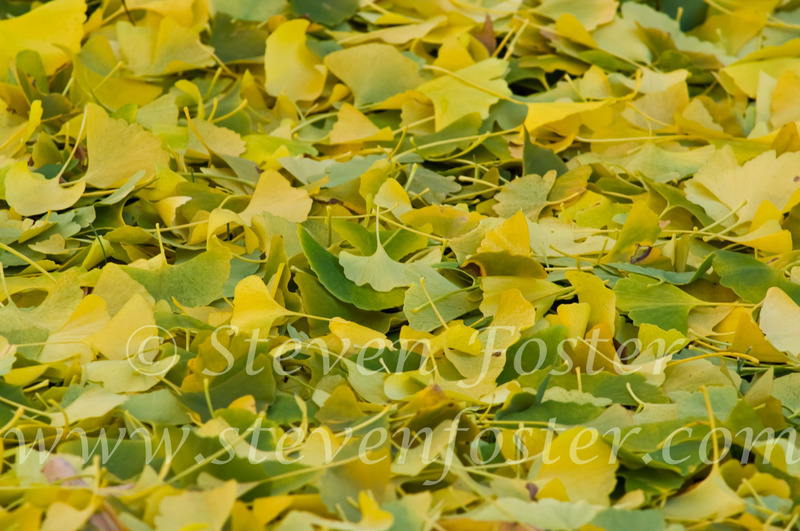 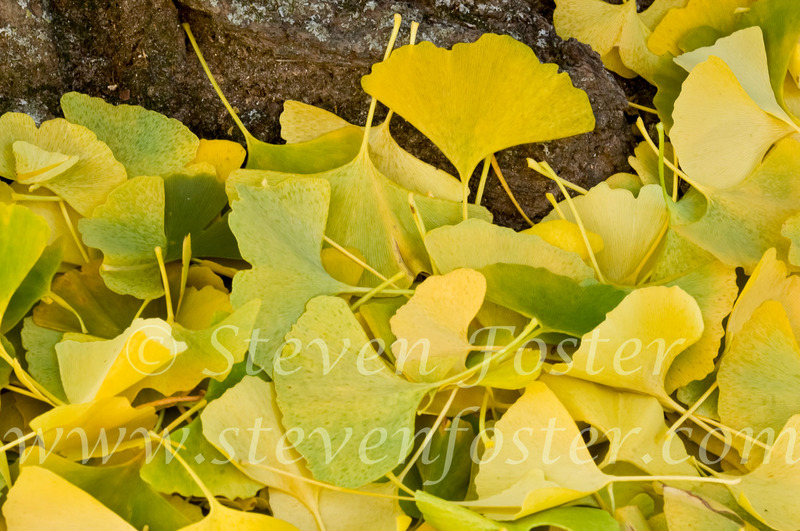 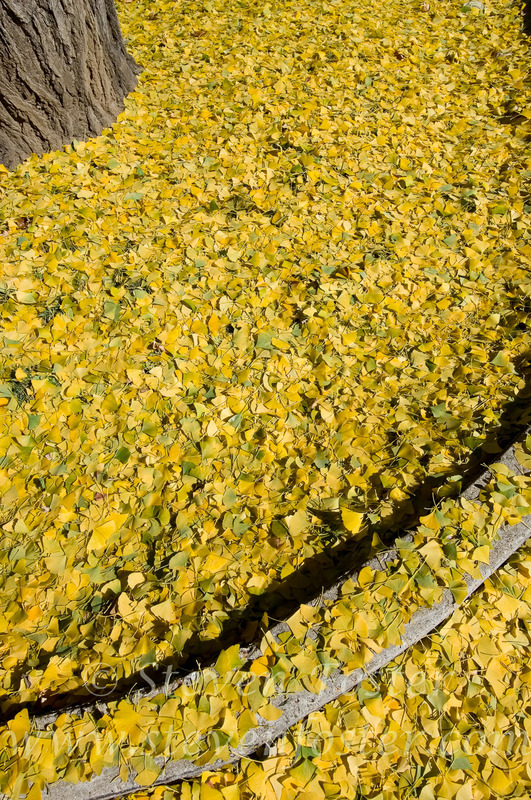 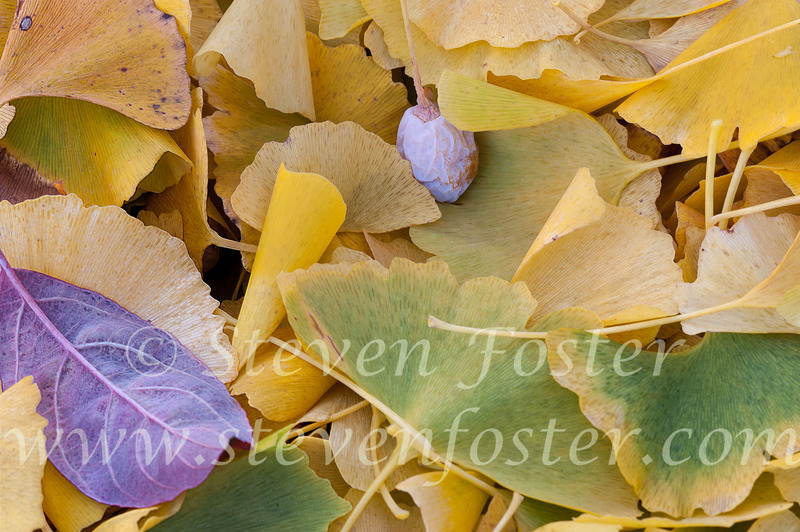 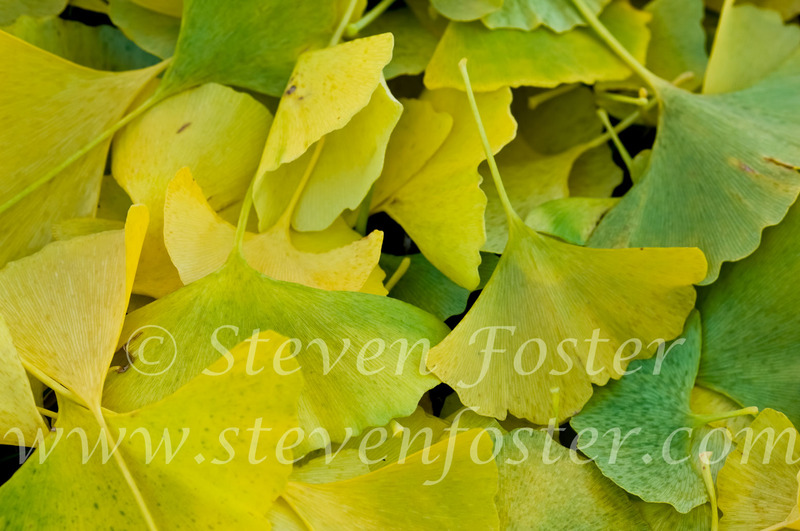 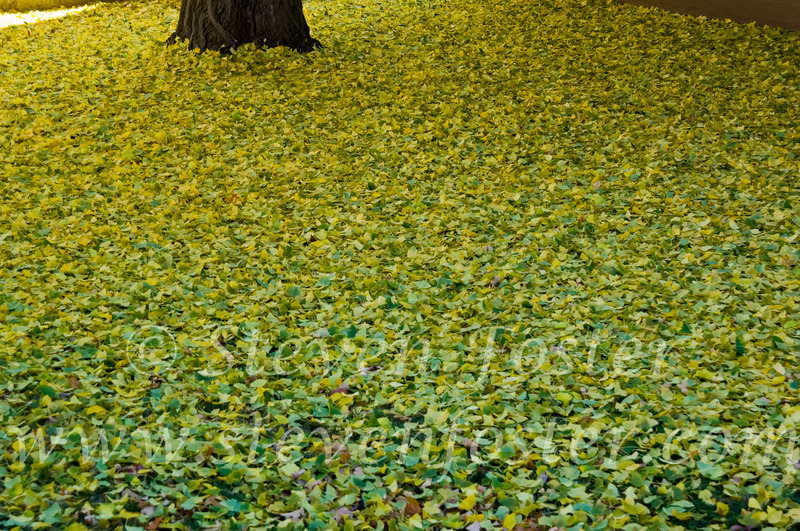 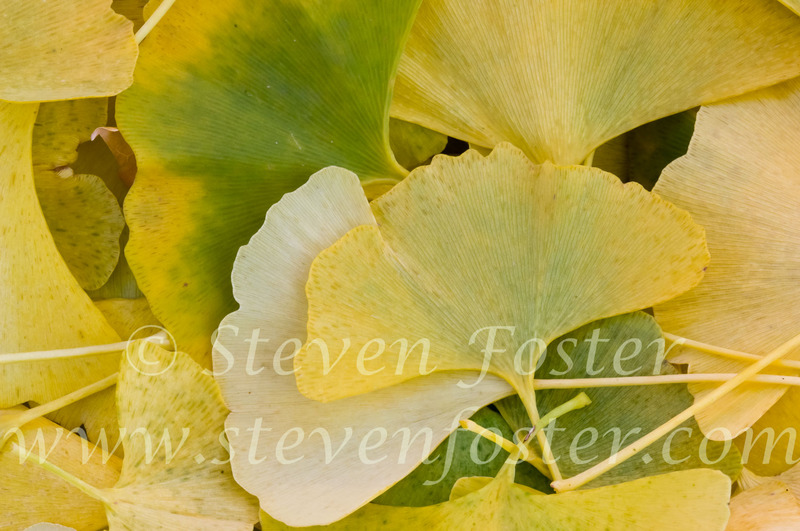 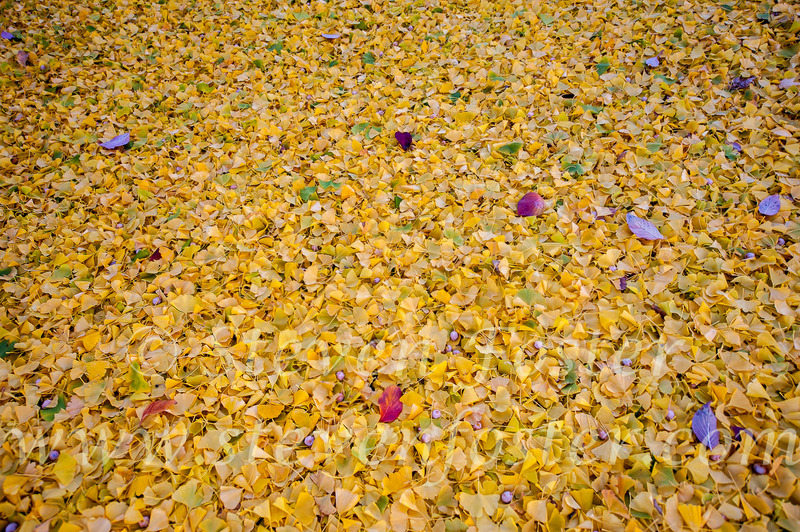 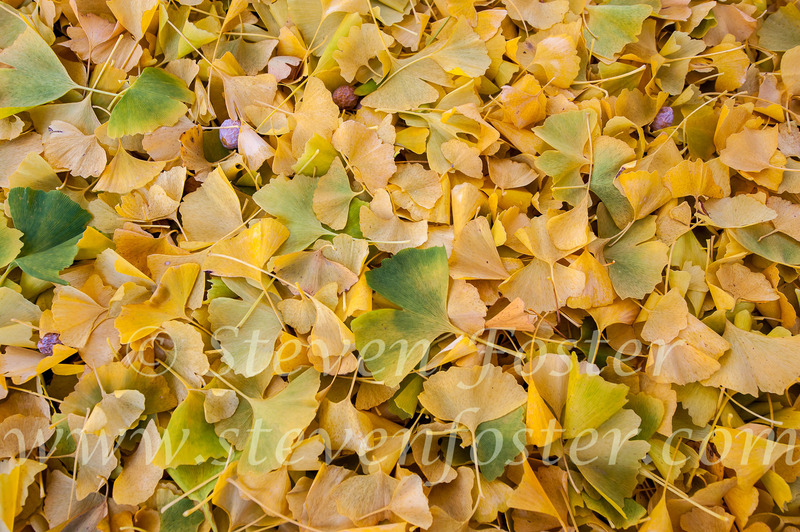 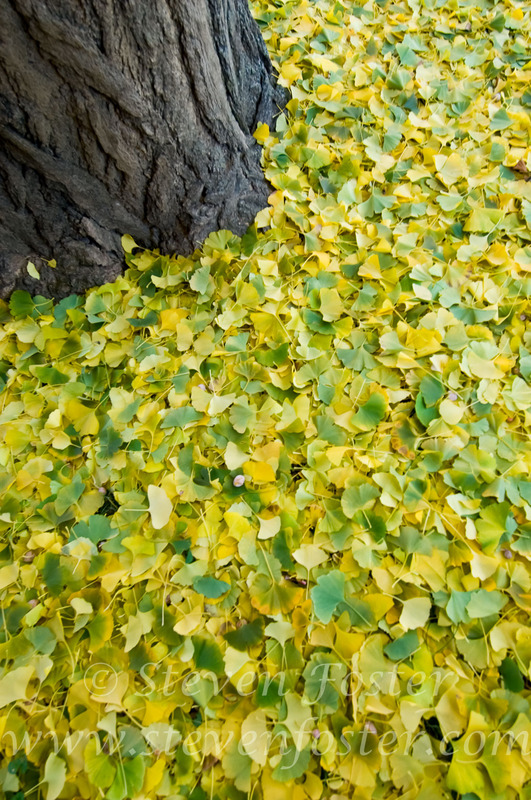 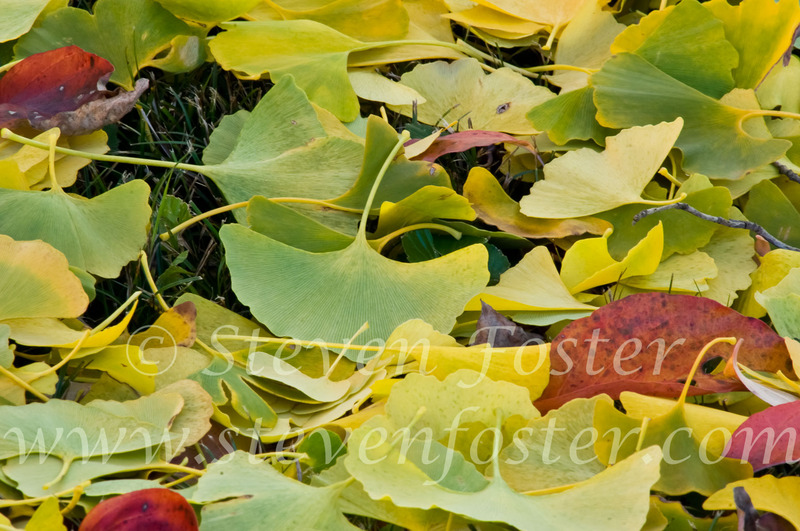 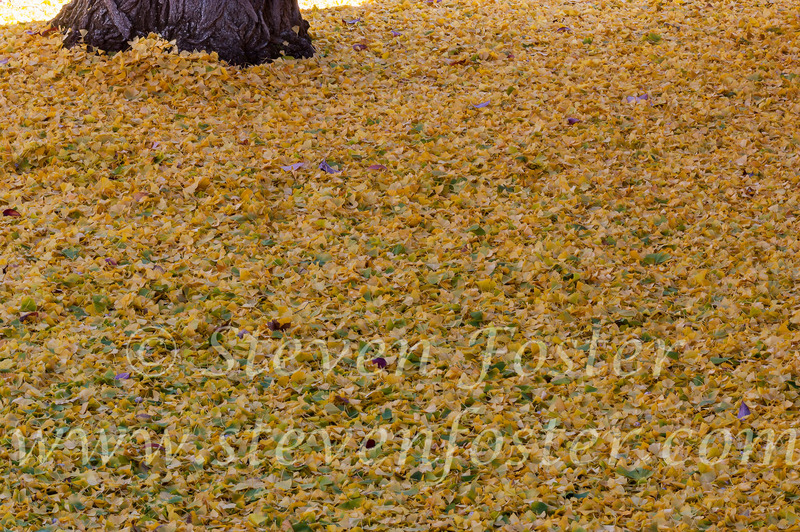 Ginkgo biloba, Ginkgo tree, Ginkgo leaves, golden autumn Ginkgo leaves. 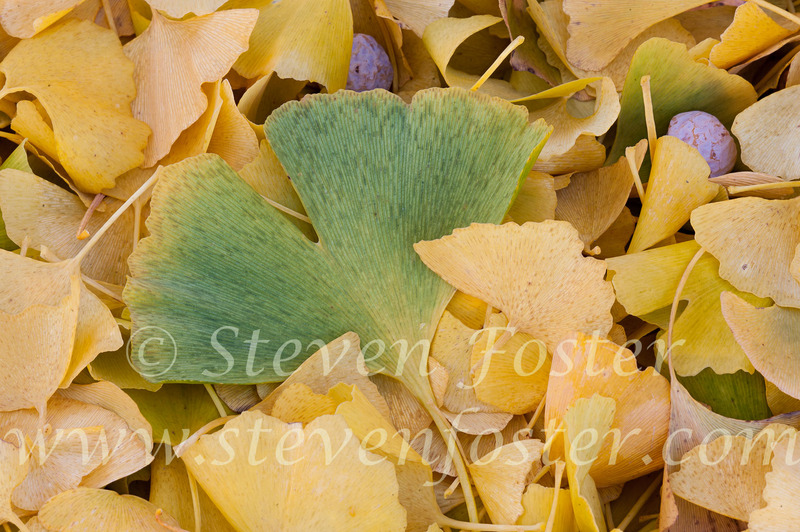 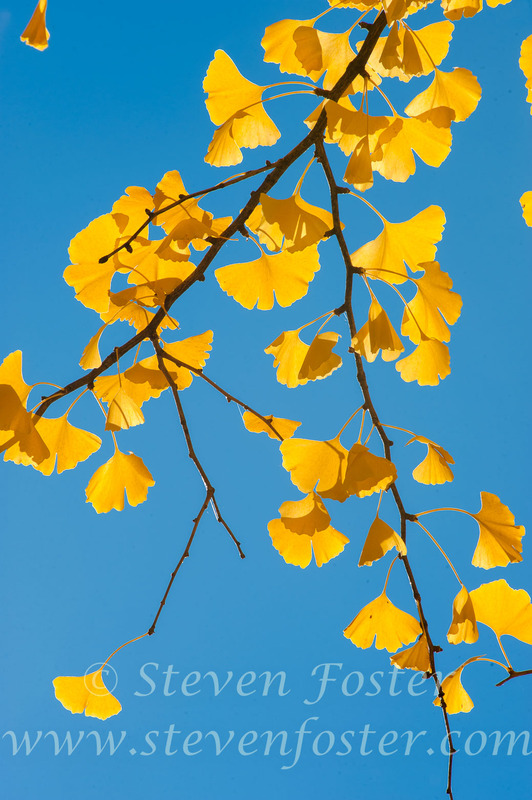 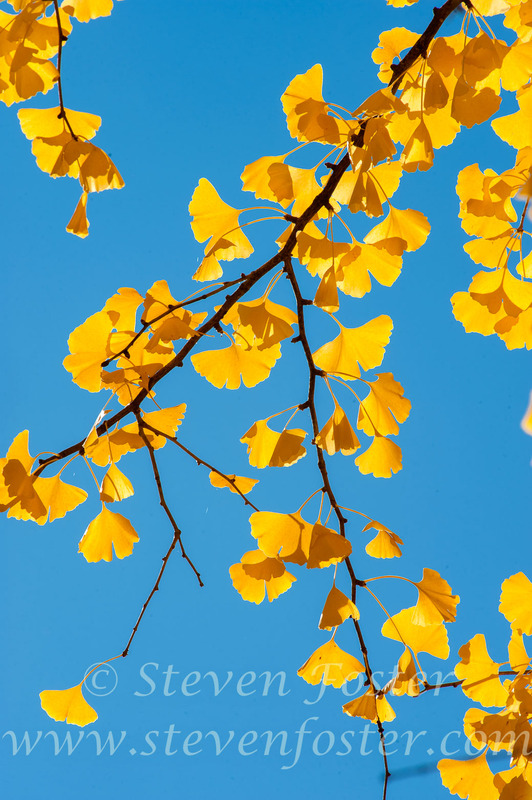 Ginkgo biloba, Ginkgo tree, Ginkgo leaf, golden autumn Ginkgo leaves. 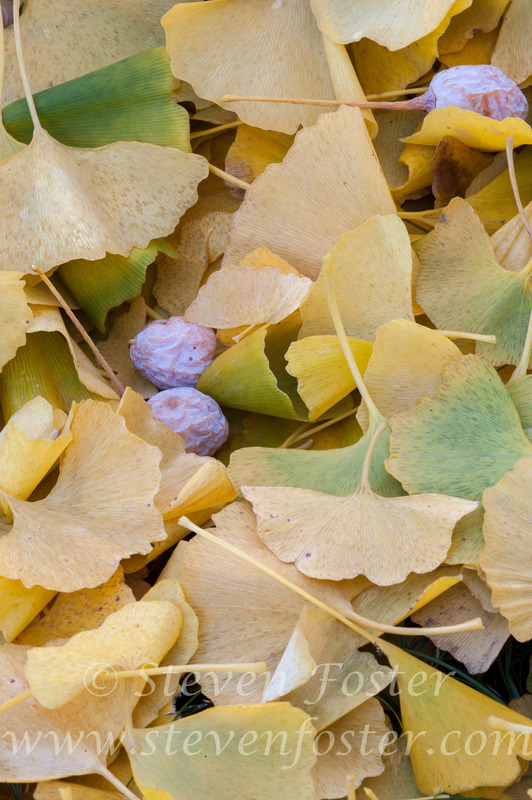 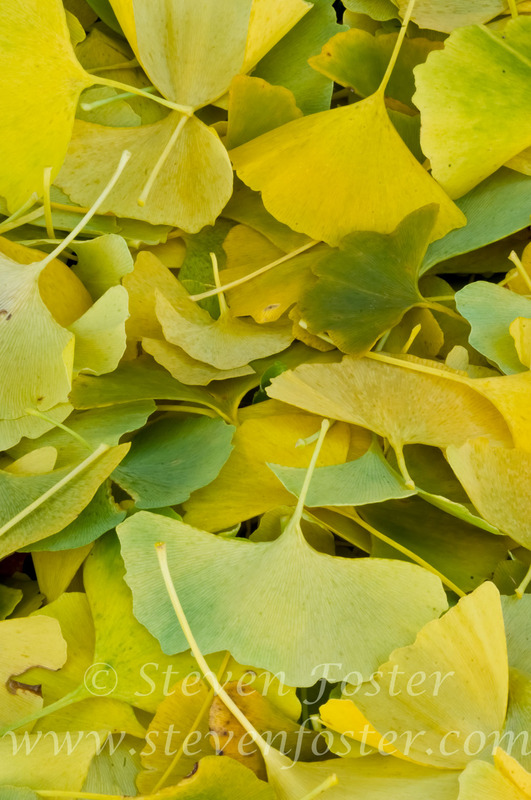 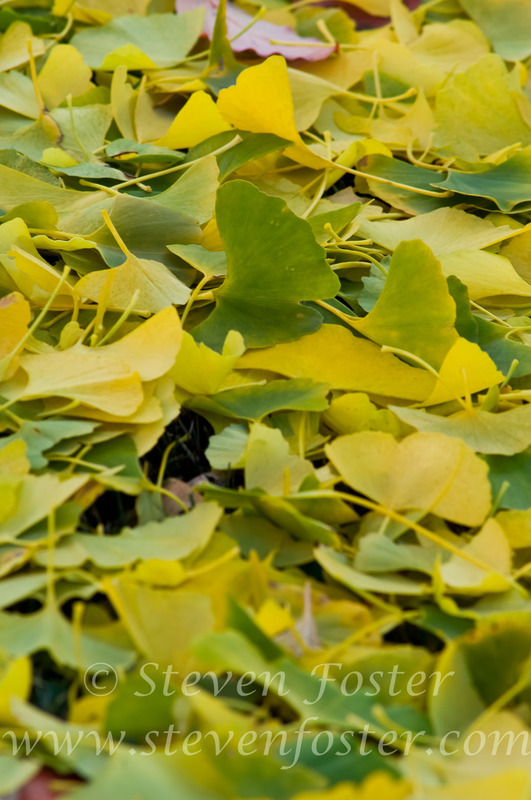 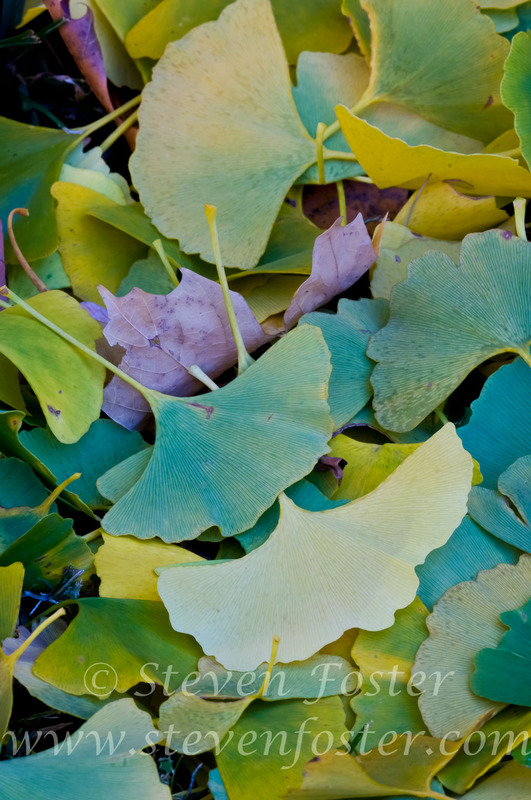 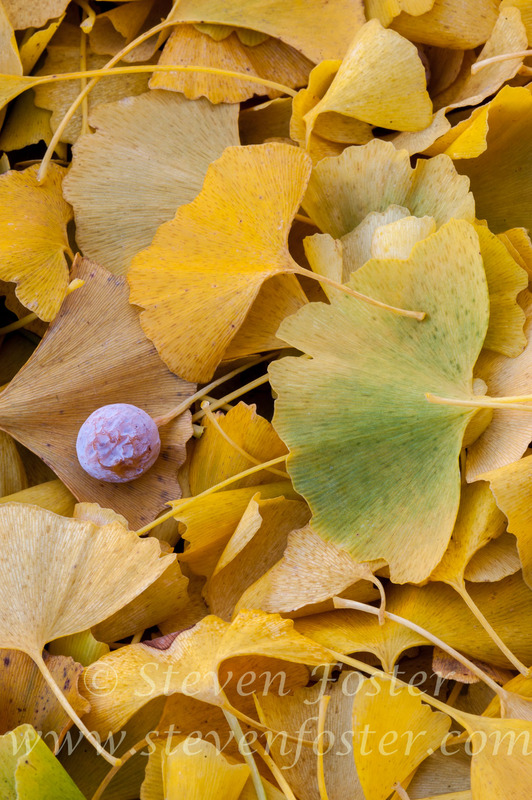 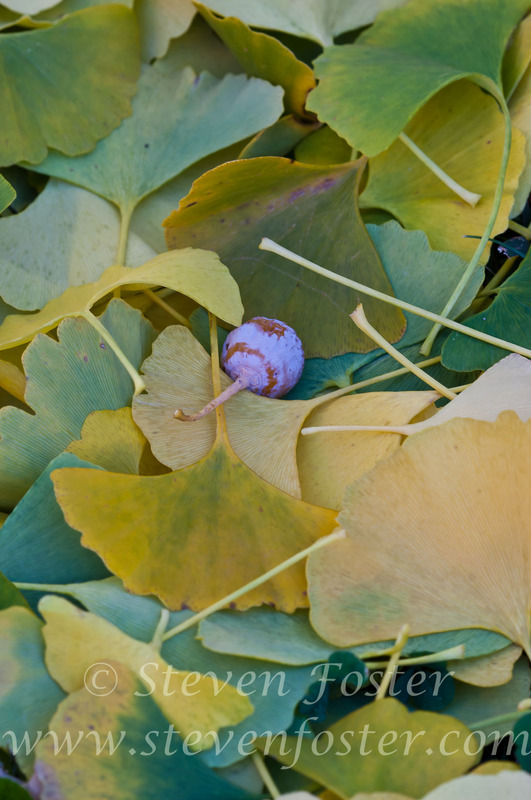 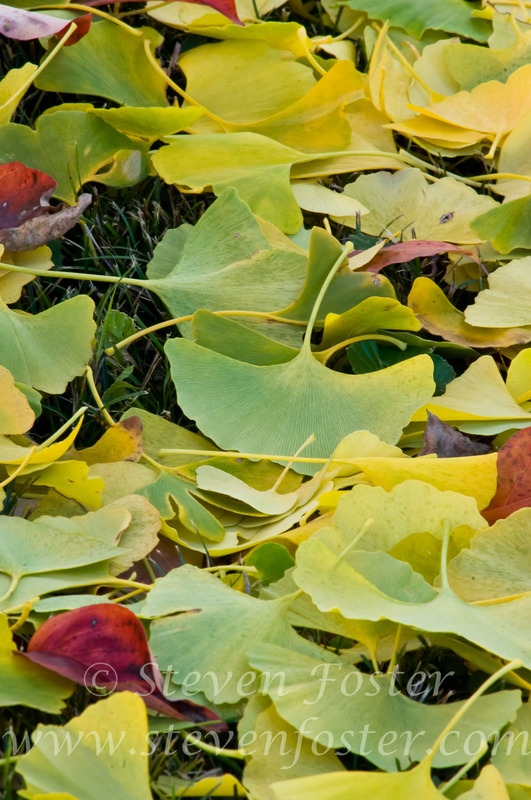 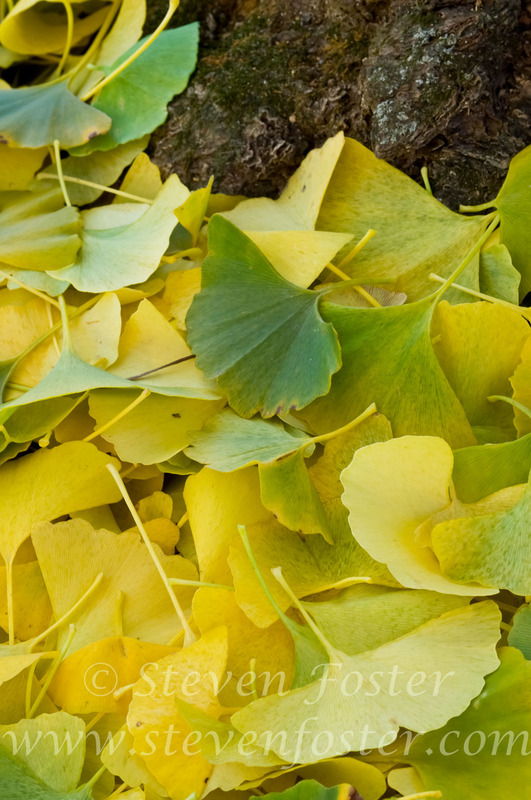 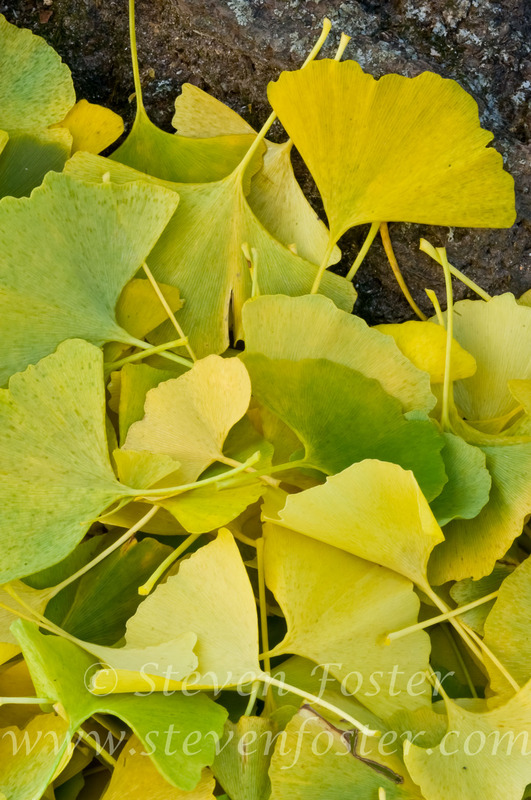 Ginkgo biloba is a monotypic species, the only surviving member of an ancient plant group, once widespread in North American and Europe, which became extinct in much of its range during the Ice Age, but survived in China. 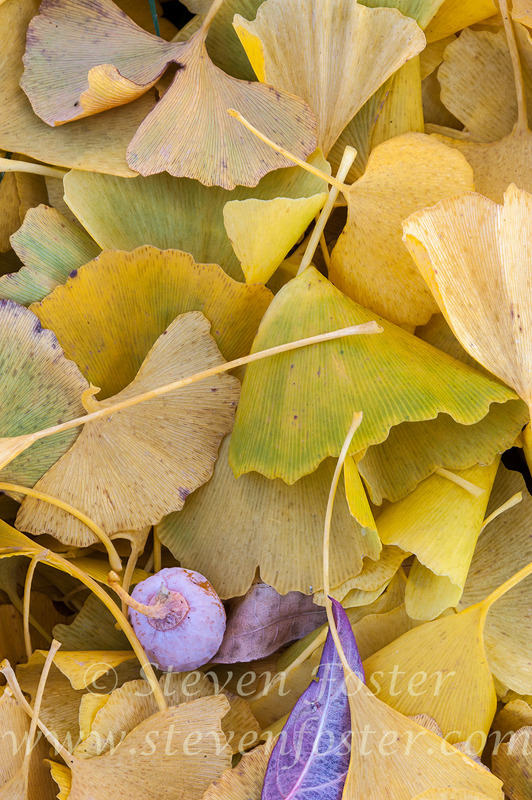 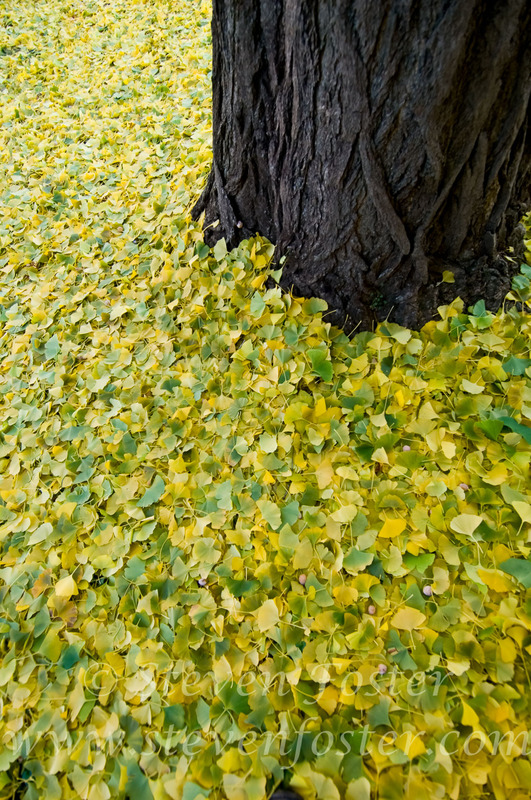 Ginkgo biloba, considered a living fossil, is the only surviving member of the Ginkgo family (Ginkgoaceae), and the oldest living tree species on the planet, surviving for over 200 million years. 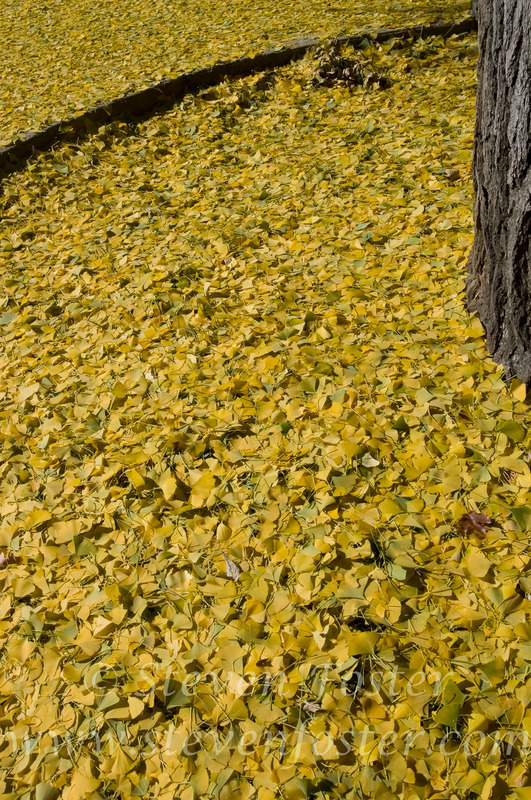 The brilliant golden yellow leaves, once they are ready to fall, will likely drop from a single tree in an hour’s time, raining from the thick branches like small fans twirling from the sky.